We are just hours away from the announcement of 15.3. I am doing the Opens as a 100% scaled athlete this year so as to maximize my recovery from shoulder surgery this past summer. I have given my all to 15.1, 15.1a, and 15.2 so far. For the sake of comparing apples to apples, I am watching the scaled, NorthEast, Master 45-49 group (next year I will move up to 50-54). After 2 weeks, I am in 13th place in this group. 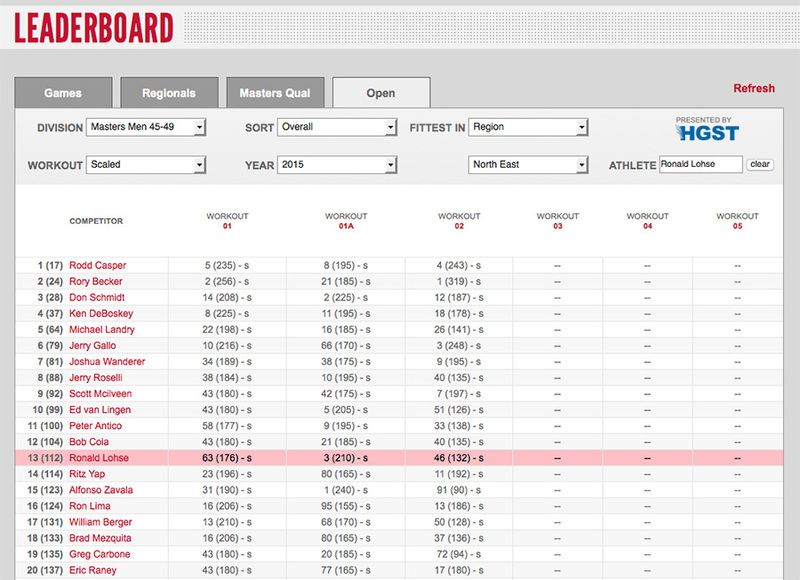 I am #165 in scaled, masters 45-49, worldwide. Can't wait to see what Castro pulls out tonight!